Native to the Mediterranean region; first collected in 1903 in Eaton Co. and evidently a locally common weed in alfalfa fields (introduced with seed) in the first decade of the 20th century, but not collected in the state since. MICHIGAN FLORA ONLINE. A. A. Reznicek, E. G. Voss, & B. S. Walters. February 2011. University of Michigan. Web. 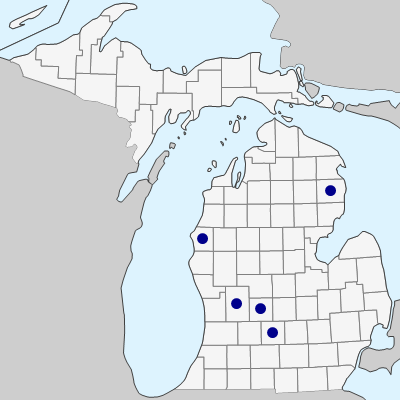 April 21, 2019. https://michiganflora.net/species.aspx?id=276.